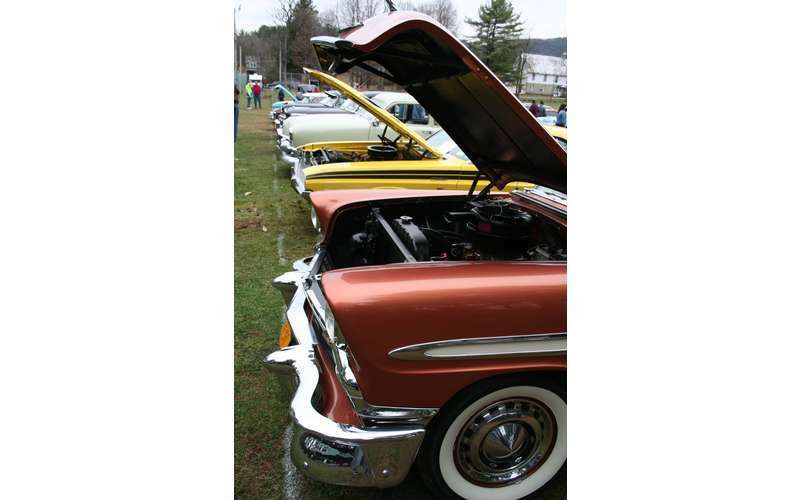 The Lil’ Sugar Dust-Off Car & Truck Show is held in concurrence with the annual Maple in April Festival. The show will take place at the Hadley-Smead Memorial Park on Sunday, April 28 from 9am to 3pm. There will be awards, door prizes, a DJ, and more. There's a $10 registration (postmark by April 15th) or $15 at the gate. Taste the sweetness of maple syrup on french toast and pancakes, maple cotton candy and popcorn. Watch the plein-air artists create their art on the festival grounds for Sunday’s silent art auction. Listen to Live Entertainment in the Performing Arts tents. Browse the many food and craft vendors. Visit the kids’ activities corner. Take a horse-drawn wagon ride, learn about owls and hawks. Visit Dogs Day in the park on Saturday, all breeds of dogs are welcome. Got Milk? Got Maple? Come sample the NEW maple milk. It’s bottled by Rich View Organics Creamery, a small organic dairy in Cossayuna Lake, Washington County. The Upper Hudson Maple Producer’s Maple Queen will be present to hand-out sample of this delicious combination of milk and maple syrup. Kyle from Bunker Hill Organic Creamery will be on site if you wish to purchase their maple milk, chocolate milk or white milk. Make Syrup? If you collect and boil your own maple sap and live within a 50 mile radius of Hadley you are eligible to enter the Backyard Maple Syrup Tasting Contest on Saturday, April 27. All 1/2 pint samples must be delivered to the Wilder’s Sugar Shack, 4088 Rockwell St, by 11AM for judging. The event will be presented by the Hadley Business Association.